On a normal weekday bookings are not required, just come along and put your name on the start sheet. ( Note : If you need a motor cart please ring and reserve as we only have a limited amount ) Weekend & Public Holidays Online Bookings now operating. Saturday bookings open at 9am on Tuesday. Sunday bookings open at 9am on Wednesday. Public Holiday bookings open 7 days prior. Online bookings were introduced in November 2008. The system is convenient and solves the problem of people booking and not turning up, as all bookings must be paid for at the time just like buying football or movie tickets. There is a 24 hour cancellation policy to obtain a full refund. To be able to book online all players will need is an email address and a Visa or Mastercard card. Bookings can also be done over the phone with your credit card if you don’t have internet access. Don’t have a credit card? Don’t panic! You will still be able to book, but will need to come and create a credit account at the course prior to booking. Call the proshop for more details. Larger social groups of 20 or more will also be able to book up to 12 months in advance as long as they play after 9am and not more than 4 times per year. 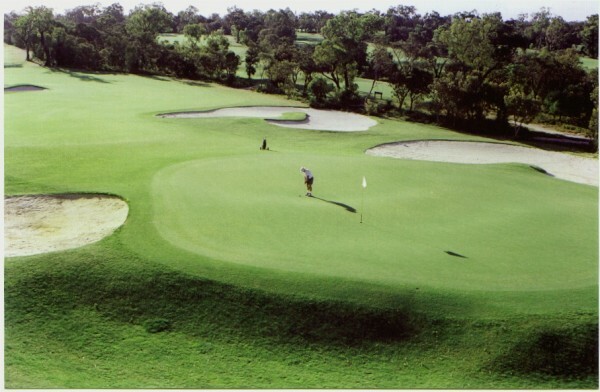 This will give social groups the opportunity to enjoy the City’s wonderful golf courses. Groups will be required to pay 30 days in advance without refund. Some players will prefer not to book and they will still be welcome to come down and go on the standby list to get a game, just remember that priority will be given to booked players. The websites for each course will also provide a lot more information for players as they will be able to view the booking sheet on weekends and check availability, and also look at the events calendar and better plan their golf day as well as check current weather forecasts.